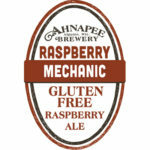 Raspberry Mechanic is bright, & slightly sweet to start, this gluten-free raspberry ale crafted with sorghum finishes refreshingly tart. Real Raspberry, really refreshing & gluten-free all wrapped up in one. 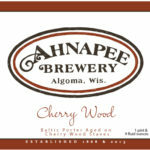 Cherry Wood is a soft and chewy Baltic Porter aged on in-house seasoned, kilned & toasted Door County cherry wood. Enjoy the subtle chocolate and roast notes mingling with the cherry wood tannin’s and a slight cherry acidity on the finish. 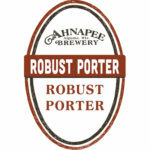 A beautiful beer as unique to us as it is tasty! 2018 World Beer Championship gold medal winner. To learn more about Cherry Wood check out this article! Experience a Brettanomyces ale aged in wine barrels for nearly three years. 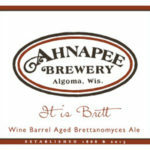 It Is Brett was primarily fermented with multiple different Brett yeast strains. 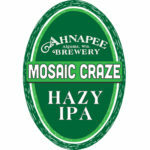 This blend of yeast provide our brew unique, funky, earthy and complex characteristics. All of this is complemented with the wine barrel undertones. 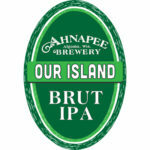 the IPA we’d choose if we were stranded on an island. 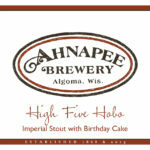 Available in the taproom and out for limited distribution.